Valentine’s Day brought some heartwarming news for Pacific Union’s real estate markets: The monthly snapshots of our regional updates from January are in, and we are seeing some compelling results. The percent of homes in contract clearly rose in the East Bay, Marin, and San Francisco, with the latter two reaching the highest they’ve been in at least a couple of years. California’s wine country is still doing well, with Sonoma continuing an active trend in the market priced under $1 million with over half of those homes in contract. And in Napa, not only was the most-active trend in the under-$1 million price range, but an incredible 90 percent of the homes in the $100,001 – $500,000 range were in contract. 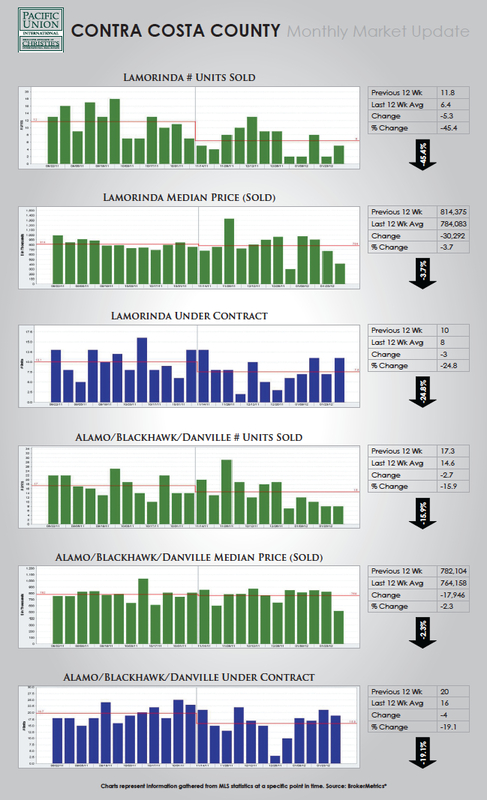 Finally, in Contra Costa, Lamorinda showed the number of units sold rising, while in Alamo/Blackhawk/Danville the number of units sold is holding pretty steady, and in both areas the median price of units sold is down. Overall, if we consider over 35% in contract indicative of a sellers’ market, under 25% indicative of a buyers’ market, and 25%-35% a balanced market: Marin (42%), Napa (45%), and Sonoma (53%) each seemed to be in the midst of a sellers’ market. Meanwhile San Francisco (28.78%) and East Bay (29%) markets appear balanced. For more details, view the complete January 2012 reports from each region below. Previous PostPrevious Real Estate Market: It’s Time for Sellers to Join the Party!